This is a prime example of the over-grazed landscape that Western Watersheds Project seeks to protect through its many efforts. 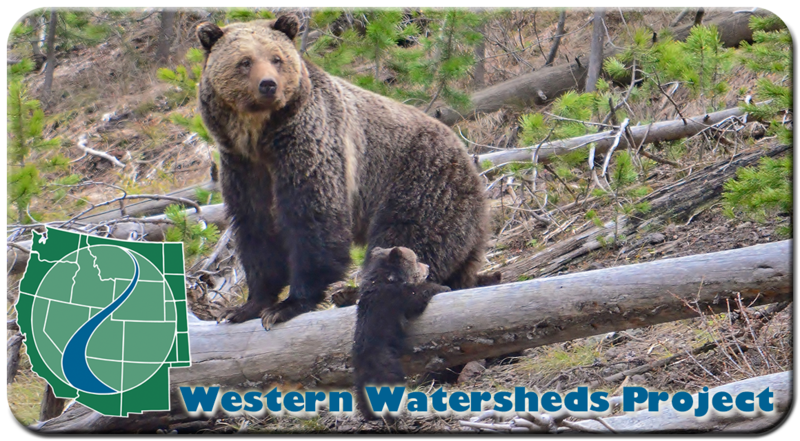 As one of the West’s most effective environmental watchdog organizations, Western Watersheds Project (WWP) works to protect and restore over 250 million acres of public land in the west which is home to a stunning array of birds, fish, mammals, amphibians, other wildlife and rare plants. 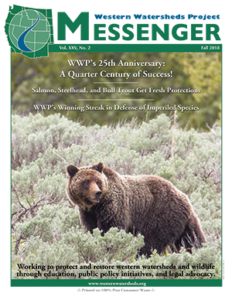 In fact, WWP has been successful in permanently protecting over 400,000 acres of Western public lands! Private abuses of public lands, leads to reduced water quality, increased soil erosion, reduced plant diversity, exotic plant invasions, reduced wildlife habitat, the spread of diseases, and the amplification of impacts from climate change. On behalf of all of us who live in and enjoy the vast recreational opportunities in the west, WWP provides oversight and monitoring to ensure the proper management of public lands and restores degraded landscapes to native, wild, functional and resilient ecosystems. WWP works to ensure that land management agencies such as the Bureau of Land Management and United States Forest Service enforce important federal enviromental laws including: Clean Water Act, National Environmental Policy Act, and Endangered Species Act. A disproportionate share of the habitat for many of the fish and wildlife species listed as threatened or endangered under the federal Endangered Species Act falls within this 250 million acres. In addition, hundreds of thousands of outdoor enthusiasts camp, hike, fish, hunt and enjoy other outdoor activities on this publicly owned land. All of WWP’s efforts to influence the restoration of western public lands are based on a vision that western North America may be one of the few places on earth where enough of the native landscape and wildlife still exists as public land to make possible the restoration of a wild natural world.